"I was moving to NY from India for a six month stay and needed a furnis..."
"I was moving to NY from India for a six month stay and needed a furnished apartment in a hurry. Searched on the web and found a couple of dozen listings that I liked. I emailed the concerned agent on each, and got a few responses. Was very lucky one of them was from Scott Lightfoot of Anchor Associates. From the beginning he did his best to help me narrow down my choices and find apartments that would suit my particular situation. While the other brokers would contact me as and when it suited them, and with a take-it-or-leave-it attitude, Scott was extremely prompt in this responses. I shortlisted about a dozen apartments, ranked them, and asked a friend who lived in NY to check them out for me. Scott took my friend around to see these and to a few others that he thought would suit my preferences. I was very happy that I was able to get the apartment that was no. 1 on my list. Within a couple of weeks we had negotiated the lease, and got all the minutiae ironed out. When I flew in from India, he was waiting at the apartment with the keys, and things went without a hitch. I plan on enlisting his help when I''m ready to move again, and would definitely recommend Scott to my friends." "I found Scott to have high integrity and great competence with a charm..."
"I found Scott to have high integrity and great competence with a charming personality." "Scott was extremely helpful and made the process easy... In one day h..."
"Scott was extremely helpful and made the process easy... In one day he took me to multiple listings, keeping the search within my budget and the area I was looking for, and found me my new apartment! When it came time to write up the paper work he met me on the weekend so my application could get in first! When I signed the lease, he made it super easy and brought the documents to my work! He even got me a deal on the fee which was awesome. 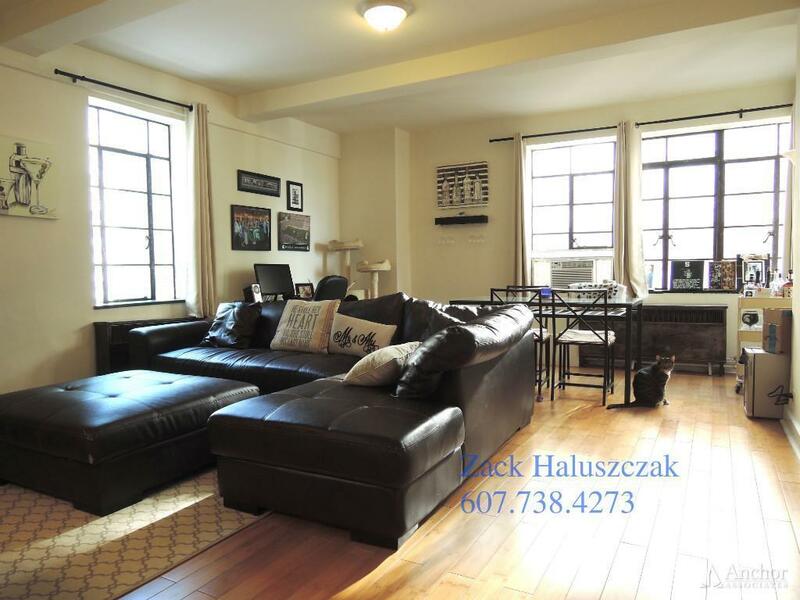 I loved working with Scott and would recommend him to anyone looking for an apartment." "My roommate and I were looking for a place to move in NYC and were hav..."
"My roommate and I were looking for a place to move in NYC and were having a hard time finding n apartment that suited our needs. Then we were recommended to Scott Lightfoot at the Anchor Associates Group by a friend. He was very professional, but made the whole experience of finding an apartment fun and easy. We saw several different apartments in the first day alone, all of which were great! I would highly recommend this group. Ask for Scott if you are looking in NYC!" "...he brings a magnanimous personality and open-mindedness to every in..."
"...he brings a magnanimous personality and open-mindedness to every interaction with his clients." In an often daunting, ever-changing marketplace, Scott brings hospitality and knowledge to the hunt for your next home. Hailing from the Midwest, he understands the frustrations that often accompany the search for New York apartments and is here to make this process the pleasure it SHOULD be! Amid a complicated cityscape, Scott is here to ease this otherwise arduous process and get you into the apartment that is just right for you. Midtown East Alcove Studio, Corner Unit, DW, WIC, Laundry, DM, Elevator, Gym, By Grand Central!